I get my salary on the 15th of every month. That already is a odd time, with most people getting theirs in the first week of every month (some lucky folks I've heard also get it on 31st or 1st itself). There are times, due to some technical reasons the salary credits a day or two afterwards. At those times, things get really very difficult because all my bills and payments, savings and SIPs are planned around the salary. And I must confess, it's happened a couple of times when I ended up borrowing money from family & friends, and there is nothing more embarrassing than that. So when I was invited for the event launching the CashE App, I was genuinely curious to know what it's all about, because I knew it wasn't just another wallet app. The event started with a fun song & dance performing depicting the life of a common urban professional when they're broke and salary doesn't get credited timely. Mr. V. Raman Kumar, Arjun Kapoor, Dr. Rakesh Mohan, Mr. Suhel Seth & Mr. Yezdi Lashkari officially launching the CashE App. India's 1st cash giving app - simply fill your details, attach a couple of proofs, social login and borrow money! 1. Credit Cards do the same already, allowing you to borrow money. Why would you use the app? 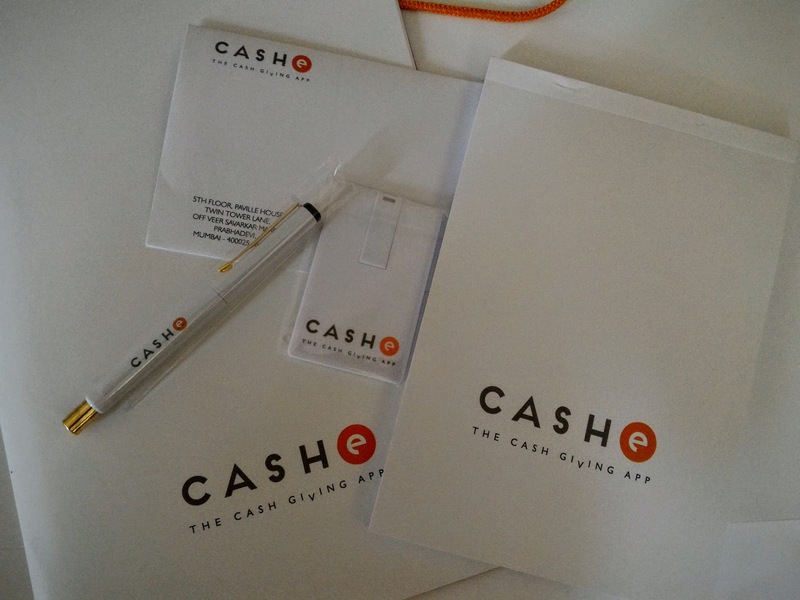 Answer - CashE App has an interest of 1.5% with 15 day return. This interest is less as compared to credit cards. But the processing fee applies, which is a one time thing, and then you can borrow multiple times. 2. What would non-salaried businessmen and entrepreneurs do? Answer - Though the app currently is only for salaried individuals who have proof of payment via salary slips etc, if a business person has sufficient documents to prove his income, he can definitely apply. I personally haven't used the app yet, and have my own doubts. I mean, one does not want to come to the stage where they have to borrow money by any means. But, when Mr. V Raman Kumar mentioned that this is just the beginning stage, once they get many members installing the app, get the ball rolling, they're definitely looking at lowering the interest & fees. When it comes to that stage, I'm sure I will consider using it and maybe even recommending it to people. Download the app on Google Play Store today, and if you do not have a credit card, then it makes sense to borrow from here hassle free and instantly. Do not forget to read the T&C! In a country like India, vastu shastra is considered one of the basic requirements while constructing a property or building according to pre-specified principles. It is necessary to follow these principles for wealth, health, fame and prosperity in life. Though it has become difficult to follow each and every principle in the present era, it is important to make maximum use of tenets in order to achieve peace and harmony in life.